1) (Horsley, co. Derby). Or, three bends and a cross crosslet sa. 2) (granted to James Bentley, of Highbury-place, co. Middlesex, and of the city of London, merchant; also of Hersey, Hadleigh, and Boxford, co. Suffolk; and of Scarborough, co. York). Or, on a bend cottised sa. a lion’s face betw. two ohaplets of oak of the field. Crest—A talbot pass. ar. supporting with the dexter forepaw an inescutcheon of the Arms. 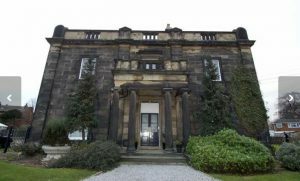 3) (Eshald House, Oulton). Or, three bendlets sa. 4) (Brentwood, Essex). (Birch House, near Bolton). Ar. on a bend sa. three wolves pass. or. Crest—A wolf ramp. erm. ducally collared or. Motto—Benigno numine. 5) (Derbyshire and Staffordshire). (West House, Rotherham, and Finningley Park, Yorkshire). Or, three bends sa. Crest—A spaniel dog pass. ar. Motto—Vive ut vivas. 6) Sa. three bends ar. 7) Ar. a fesse betw. three garbs sa. 8) (co. York). (Dublin, descended from co. York). Ar. a chev. betw. three martlets sa. 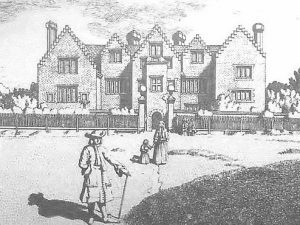 9) (Ely Place, London; Edward Bentley, Esq.) Or, a bend vair betw. two bendlets engr. sa. Crest—A talbot passant ar. the dexter forefoot resting on an ancient shield, vair, charged with an annulet or. 10) Ar. a fesse betw. three garbs sa. Crest—A sand glass gu. 11) Sa. a fesse betw. three garbs ar. 12) or Bentley, or Binley – Ar. two bars and a canton sa. Bentley is an English habitational name denoting a person who was from any of several places throughout England, primarily in Derbyshire, Hampshire, Essex, Shropshire, Staffordshire, Suffolk, Warwickshire, Worcestershire, and East and South Yorkshire, as well as many small hamlets in various counties, named Bentley. The towns names are thought to derive from the Old English word beonet, meaning “bent grass” and leah, meaning “woodland clearing”. Translated literally, the name means “the field of Benedict”. In some instances, it may be an Americanized spelling of the Swiss surnames Bandle or Bandli or the German surname Bentele. Current spelling variants or names with similar etymologies include Bently, Bentlie, Benteley, and Bentle. and Wales ordered by William the Conqueror, the name is spelled as Benedkedge, Benetlea, and Benedlage. The name first established itself in county Lancashire and Yorkshire, where the family owned land and titles in the Middle Ages. Others trace the family back further to an ancient manor and hamlet in the parish of Wolverhampton, granted to a knight known as “Drew of Bentley” or “Dru nad de Benetlea” by William the Conqueror for his function of being in charge of the King’s hay, or for being in working in the King’s sergenaties (miscellaneous tasks done for the king, performed by men or rank of high esteem), but this may be legend or family folklore passed down through generations. The first known bearers of this surname was Gervase de Benetlea who died in 1164 AD as documented in the Pipe Roll of that year. He had a son named Roger. The following is an excerpt from an article titled Forest Tenures of Staffordshire: “Roger the son of Gervase of Bentley grants to Roger his son and to his heirs all Bentley with the custody of the Hay of Bentley, with its appurtenances except the land of Richard the son of Simon and of Robert the son of Jeffrey and the land of Hyndebadeshull, and the land of Hutcheberge and the Bailiwick of Wolverhampton which he kept for his own use for his life”. William de Benetlega was documented in the Pipe Rolls of Derbyshire in 1176 AD. The Hundred Rolls of 1273 AD, a census of Wales and England, known in Latin as Rotuli Hundredorum lists two bearers of this surname: John de Bentelege (Derbyshire), Robert de Benetlcye (Yorkshire). Other early bearers recorded between 1198 and 1302 AD include: William de Benetleg (Salop), William de Bentlee (Salop), and Simon de Benetl (Yorkshire). The Poll Tax Rolls of Yorkshire in 1379 AD also list two bearers: Alicia de Benteley and Richardus de Bentley. John Benteley is listed in the Fine Court Rolls of Surrey in 1388 AD. The Placita de Quo Warranto, compiled between 1272-1377 AD lists two bearers: William de Benteley (Buckinghamshire) and Richard de Benteley (Yorkshire). The last name Bentley ranks 814th popularity in the United Status as of the 2000 Census. The name ranks particularly high in the following five states: Kentucky (203rd), Georgia (278th), Michigan (445th), Alabama (456th), and Utah (484th). The surname Bentley frequency/commonness ranks as follows in the British Isles: England (352nd), Scotland (1,612th), Wales (568th), Ireland (1,939th) and Northern Ireland (1,576th). In England, it ranks highest in Staffordshire and West Yorkshire. In Scotland, the surname ranks highest in Shetland. In Ireland, it ranks highest in Munster. In Wales, it ranks highest in Anglesey. The name is also present throughout the remainder English speaking world: Canada (1,374th), New Zealand (695th), Australia (500th), and South Africa (2,254th). The Bentley family tree for this branch of the family comes from Halifax and asserts it is the same family from which Richard Bentley, D.D., Master of Trinity College, Cambridge, and Jeremy Bentley, a Member of Parliament from 1654-1656, sprung. Robert Bentley, son of Timothy Bentley and Betty Green, had, with his wife Elizabeth, daughter of Miles Netherwood of Brockhurst Hall, had three issue together: Robert John, Mary (married Edward Robinson of Westville, Rotherham), and Elizabeth (married John Worthington of Brockhurst Hall). The only son, Robert John Bentley, was an Esquire of West House, Rotheram, York, England, Justice of the Peace, and Deputy Lieutenant born in 1822. In 1844, he married Sarah, daughter of Thomas Hirst of Low House, and had issue with her as follows: Robert, Montagu, Philip Arthur, Netherwood, Lionel Mortimer, Harriet Maud, Constance Sarah, and Agnes Isabel. The Bentley coat of arms is blazoned as follows in the medieval art of heraldry: Or, three bends sable. Crest: A spaniel dog passant, argent. Motto: Vive ut vivas. This family was seated at West House, near Rotherham, England, in present day United Kingdom. 1758. In 1793, he married Ellen, daughter of Richard Lomax of Lomax Fold, Harwood, near Bolton and had one son, also named John. This son, John Bentley, Esq. of Birch House, county Lancaster, and of Portland Place, London was a Justice of the Peace and Deputy Lieutenant born in 1797. In 1836, he married Emma, daughter of Clement Royds of Mount Falinge, and had five issue with her as follows: Francis John Royds, Clement Edward Royds, Algernon Royds, Emma Rhoda, and Adela Constance. 1) John Bentley was born in North Carolina in 1665. He married Ann Barrow. It is unknown if he had children. 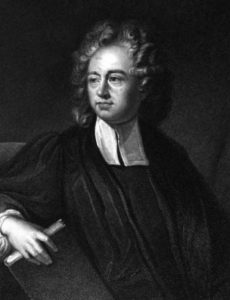 2) Richard Bentley was born in Perquimans, Carolina in 1668. It is unknown if he married or had children. 3) William Bentley was born in Perquimans, Carolina in 1671. It is unknown if he married or had children. A) William W. was born in 1702. He married Elizabeth Ashley, and had the following children from her: Elizabeth, Ann, Mildred, Robert, John, James, and William II. B) John was born c. 1703. He married Sarah Manning and had two sons with her: William and John. C) Joseph was born in 1709 in Chowan, North Carolina. It is unknown if he married or had issue. D) James was born c. 1717. He married Mary Legett and had a son with her named John. E) Jeremiah was born prior to 1721. It is unknown if he married or had issue. John Bentley was born in Monmouthshire, Wales c. 1500 AD. His son, George Bentley Sr., was born in the same town c. 1530 AD. George married Barbara, daughter of Coningsby Watts, and had two sons: George and James, the former born around 1560 AD, and the latter born in Bentley, Hampshire, England in 1568 AD. According to the book As The Twig Is Bent, A Bentley Family History, by Ruth Schmidt, “Captain James Bentley of the Royal Stuart Army was captured in the wars with Cromwell. He died a prisoner in Pontefract Castle. 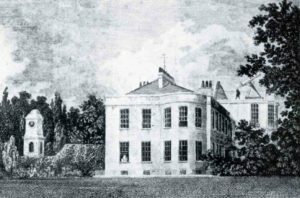 His estate was confiscated and his home plundered, but his son, Thomas Bentley, had a small estate in his own rights at Woodlesford in parish of Roshwell, Wakefield, Yorkshire, England. Thomas was married twice. He was a 19th generation descendant of “Drew of Bentley Haye” the first known Bentley (1100 AD) Pontefract is in the county of Yorkshire, east of Wakefield and northwest of Bentley”. Thomas Bentley was born in Bentley, Yorkshire, England c. 1600. He married Alice Knowles and had a son with her named Thomas. Thomas was born in West Riding, Yorkshire, England c. 1625 AD. He married Sarah Baker, and had two sons with her, both named William. Each is discussed below. 1) William Bentley was born in Shudy Camps, Cambridgeshire, England in 1646. He married Mary, daughter of Ralph Houghton, and had issue with her as follows: Hannah, William, Mary, and Henry. His son William was born in Charlestown, Middlesex County, Massachusetts Bay Colony in 1677. He married Mary, daughter of Henry Elliot, and had children as follows: Mary, William V., John, Mercy, Hannah, Deborah, Captain James Bentley, David, and Joseph. 2) William Bentley, a currier by profession, was born in Amptill, Bedfordshire, England in 1645. He married Sarah, daughter of William Eldred, and had a son with her named William. 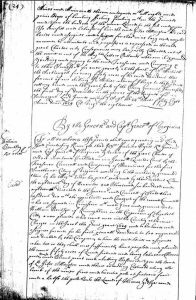 This son, William Bentley was born in Narrangsett, Colony of Rhode Island and Providence Plantations, in 1677. He married twice: Bathsheba Greene and Elizabeth Gardner. He was the father of the following children: William, James, Benjamin, John, George, Elizabeth, George, Tabita, Mary, Lewhannah, Ezekiel, and Caleb. 2) John Bentley, of York, England came to Van Diemen’s Land (present day Tasmania) aboard the Anson in 1843. 1) John Bentley of county Derby, son of Humphrey, grandson of William, of Ashes, county Staffordshire, 16 April 1589, by Ed. Knight, Norr. 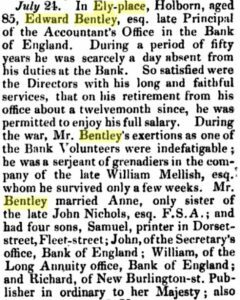 2) Bentley (after Gordon), of Bentley Naish, county Worcestershire, and Little Kington, county Warwickshire, 5 June 1777. 3) Bentley after Forbes, Thomas, of Clifton, c. 1820. 4) Edward Bentley of Ely Place, London, 18 July 1834. 5) James Kersey Bentley of Hadleigh and Boxford, co. Suffolk, and Scarborough, county York, c. 1830. 6) Bentley (Forbes) late George Calland, of Glyncollen, county Glamorgan, Wales, c. 1850. 1) William John Bentley (1947) was a professional soccer (football) player from Stoke-on-Trent, England who plated from 1964-1981 for four teams: Stoke City, Blackpool, Port Vale, and Stafford Rangers. 2) Beverly Bentley (1927) was a professional ice hockey player born in Delisle, Saskatchewan, Canada who played goaltender from 1943-1967 for several different. 3) Walter Owen Bentley (1888-1971) was an English engineer from Hampstead who designed car and aircraft engines, raced cards and motorcycles, and founded Bentley Motors Limited. 4) Jay Dee Bentley is the bassist and co-founding member of the American punk rock band Bad Religion, born in Wichita, Kansas. 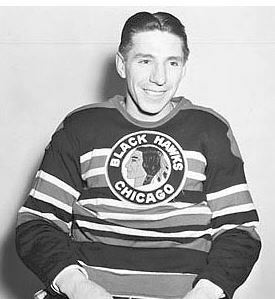 5) Maxwell Herbert Lloyd Bentley (1920-1984) was a Canadian hockey player from Delisle, Saskatchewan who played from 1940-1954 who three teams: Chicago Blackhawks, Toronto Maple Leafs, and New York Rangers. He played in four All-Star Games and won the Hart Trophy in 1946. 8) Elizabeth Terrill Bentley (1908-1963) was an American spy for the Soviet Union active in the early late 1930s and early 1940s, born in New Milford, Connecticut. She named over 80 American who were engaged in espionage. 10) David Michael Bentley (1984) is a former English soccer (football) player from Petersborough who played from 2001-2013 for several teams including Arsenal, Blackburn Rovers, and Tottenham Hotspur.